Welcome to the fifth day of the 12 Days of Randonneurmas, my rundown of cycling gear I’ve enjoyed using this year that might make a good gift for your favorite cyclist. Every fall for the last eight years, Mary has run the Coffeeneuring Challenge. It’s a lighthearted take on randonneuring in which one combines riding with stops for coffee and other hot drinks. 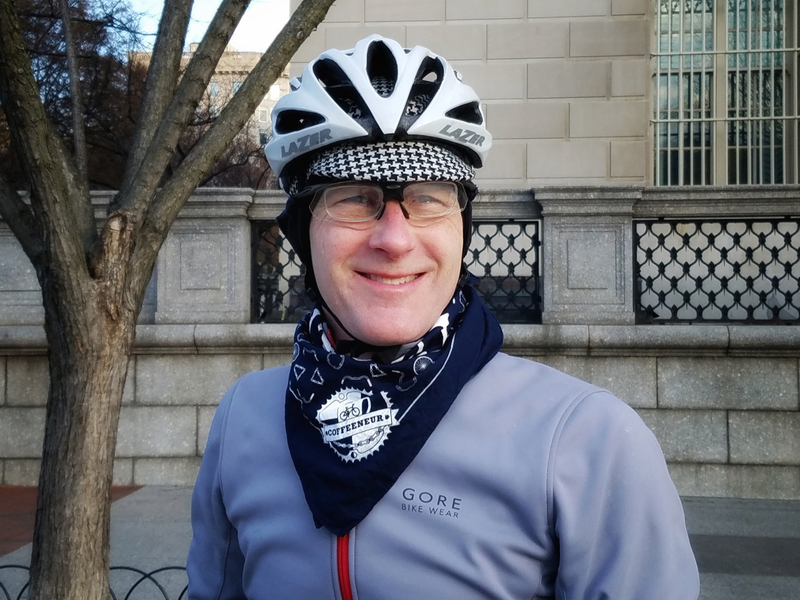 My 2018 coffeeneuring rides post can be found here. 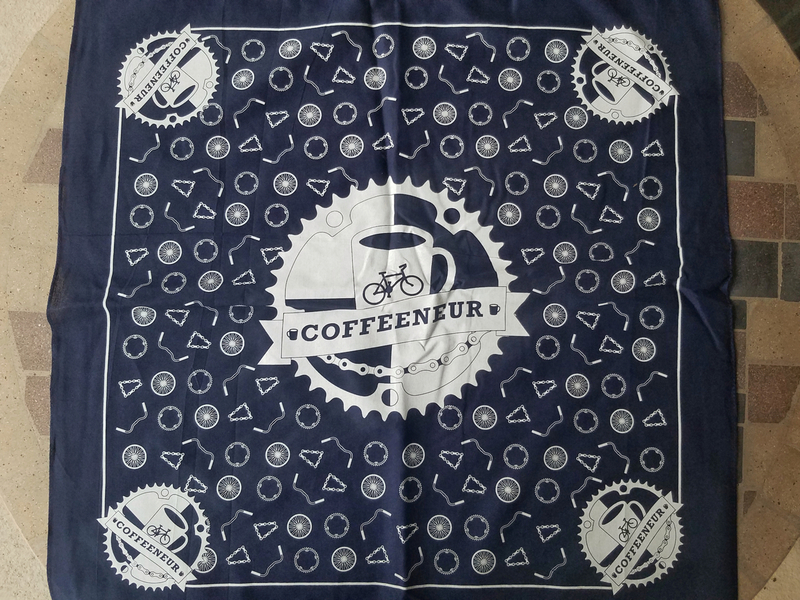 In addition to the commemorative patch that’s available to those who successfully complete the challenge – see her blog, Chasingmailboxes.com for more information – Mary has a limited run of special coffeeneuring bandanas for anyone to buy. I love having a bandana along for all kinds of riding. In summer I use one to keep the sun off the back of my neck; today in D.C. it made a neck buff. This year’s model has the coffeeneuring patch design and other fun cycling logos. To purchase, see this post from Mary. Get one for yourself and one to give, you’ll be a hit this holiday season. With that, have a great Friday! Tomorrow: something every cyclist needs for their bike, improved for the 21st century.